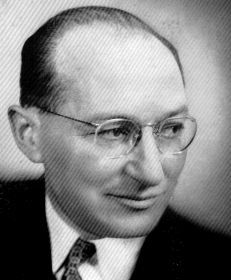 Most people don't know Kurt Lewin, and I think that is a travesty of epic proportions. In the ivory tower of the academy (where most researchers live), he is considered to be the father of modern social psychology. His theories inspired the classic research of the last century, and his principles of social psychology still govern the way researchers design experiments today. If Lewin's only impact on social psychology was his training of future researchers he would still be considered a giant in the field. And yet, I think his biggest contribution can be attributed to his greatest theoretical idea: the power of the situation. In essence, Lewin believed that people are a product of the interaction of (1) their past experiences, with (2) the current situational context. This was a radical idea in 1937, when most scientific theories rested on the notion that behavior was based largely, or even entirely, on learned associations or traits. In other words, Nature was everything and Nuture mattered little (today, some psychologists still think this way). 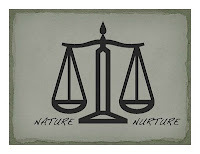 I think the debate about Nature v. Nurture or Genes v. Environment is a little misplaced, and Lewin would agree. Lewin argued that human behavior is a product of both the situation and past experience. Given this theoretical perspective, the right question is not a question of Genes v. Environment, the right question is how do genes and environment interact to shape behavior? An illustration of how Lewin's theories currently shape research on genes can be traced to studies of intelligence. For years, researchers have been interested in how much of people’s intellectual capacity is a product of their genes, and studies have typically examined the impact of genes on the intelligence of twin pairs (who share between 50% and 100% of their genes). The logic goes (and I'm simplifying here): twins should have identical or nearly identical levels of intelligence, and if they don't, then the environment is shaping their intelligence. Most studies suggest that about 3/4 of intelligence differences between individuals can be traced to genes. In all of these twin studies, however, researchers have rarely accounted for differences in the social context. Most notably, the vast majority of these twin studies involve twins raised in very homogeneous socioeconomic conditions (e.g., parents with similar education and income backgrounds). Thus, these twin studies find large genetic influences in intelligence. The confound is that the twins also share very similar social environments (One of Lewin's successors, Richard Nisbett has published a great book pointing out this confound). What happens when researchers account for the effect of socioeconomic context on intelligence? Eric Turkheimer-- a professor at the University of Virginia-- and his colleagues tackled this very question by examining the intelligence of twin pairs raised in very different socioeconomic backgrounds. The researchers reasoned that if the socioeconomic environment matters little for intelligence, then genetic differences between twins on intelligence measures should be small. Highlighting the insights of Kurt Lewin more than 70 years after his work, the researchers found that socioeconomic background had a major impact on genetic influences on intelligence: More specifically, when twins were reared in high socioeconomic status environments, genes accounted for approximately 72% of variance in intelligence scores between twins. When reared in low socioeconomic status environments, genes accounted for only about 8% of variance in intelligence within the twin pairs. The reason for this change in genetic influence based on socioeconomic context? Well, the researchers reasoned that high socioeconomic status environments are enriching, and provide people with the intellectual stimulation necessary to unlock their genetic potential. Low socioeconomic status environments, in contrast, are impoverished, and lack the necessary stimuli to unlock a person's genetic potential. Just like Lewin predicted, the situation shifts how much influence a person's genes have on behavior! Do you ever get into Gene v. Environment debates about intelligence or personality? I'd love to hear about your theories about how genes and environment shape our lives in the comments. 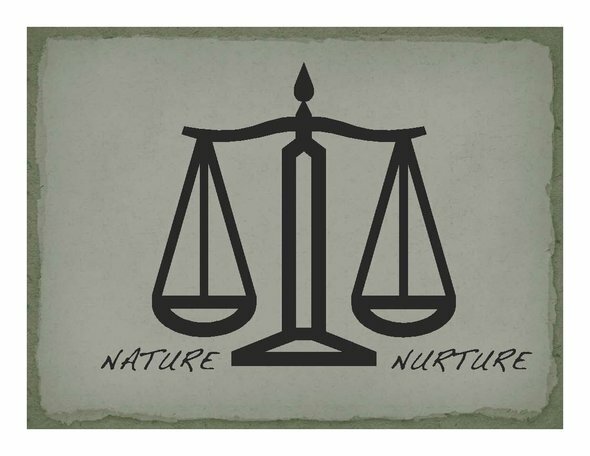 I have always believed that both nature and nurture were involved in determining behavior. The theory that environment can actually inhibit or emphasize genetic affects is interesting. Makes sense to me. I share your interest in these findings. When I first read these studies it fundamentally changed the way I thought about how genes shape behavior and intelligence. I hope that this type of research will continue to shift how people think about the genes v. environment debate! How familiar are you with psychological research? Which post topics are your favorite? How often do you visit psych your mind? Is it love or just a rollercoaster ride? Friday Fun: Are you a fantasizer? Power Corrupts? Research Says, "Not Always..."
Friday Fun: What's your attachment style? The Unfaithful: Who is most likely to cheat?